At Academy of Ballet in Peachtree Corners we take great pride in our talented and esteemed faculty. We know it takes extraordinary teachers to create extraordinary dancers. Check out our amazing faculty and their awesome accomplishments and credentials in the bios below! 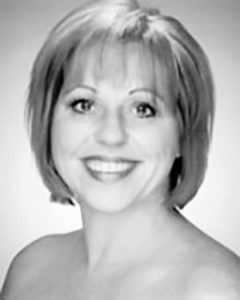 Dance Major, Virginia Intermont College, Bristol, VA.
Cathleen has been a dance educator since 1981. She is a native of Georgia and began her dance training at the Decatur School of Ballet under the direction of Marie Ellen Roberts. She later trained at The Atlanta Ballet under Merilee Smith and Robert Barnett. She continued her studies training with David Howard, Robert Joffery, Ruth Mitchell, Stanley Zompokas, Terrell Paulk, Melissa Hayden, just to name a few. She received her jazz training at Dan & Company studios under the direction of Dan and Rhonda Youmans. 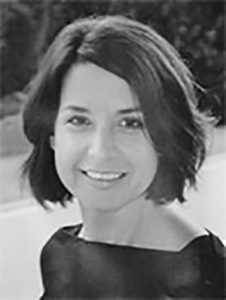 Her teaching experience: Decatur School of Ballet, The Atlanta Ballet, Tri-Cities area of Virginia/Tennessee, New York’s American Academy of Ballet, and Gwinnett School of Ballet. Throughout the years she has set many productions for the Academy of Ballet: Cinderella, Coppelia, Swan Lake, and Wizard of Oz, Beauty meets Beast, Sleeping Beauty, and The Children’s Nutcracker. Cathleen’s great love for dance and interest in passing her knowledge onto students prompted her to open the Academy of Ballet in 1994 and became known as “Miss Cathy” by her students. In 1997, Miss Cathy developed the Academy Performing Ensemble, offering advanced students an even higher level of training. As Director/Owner of Academy of Ballet, Miss Cathy has successfully organized an excellent staff, loving learning environment, with exception dance training for all levels. Ballet Mistress of Academy Performing Ensemble. Kim received her early training at the Joni Messler Studio of Dance and Dance Theatre of Santa Fe in Gainesville, Florida. She later studied at the Pittsburgh Ballet Theatre School with David Holladay and the Joffrey Ballet School with Francesca Corkel and Dorothy Lister. After graduating from Santa Fe Community College, Kim danced with the Georgia Ballet for seven years where she was featured in Balanchine’s Allegro Brilliante, Serenade, and Iris Henley’s Nutcracker performing lead roles such as Spanish, Dewdrop and many more. Since her arrival at the Academy of Ballet in August 2000, Kimberly has choreographed several works that have been performed at the Festival of Trees and Balletfest. She has also contributed many dances for The Children’s Nutcracker. In 2003 she was featured at Princess Aurora in Academy of Ballet’s production of The Sleeping Beauty and has had the recent honor of performing in pieces by Lonnie Davis, Sarah Boies, David Norwood, Emily Vanderkley, and Tianna Sykes. She is grateful to work alongside Miss Cathy and pass on her love of dance to the students at the Academy of Ballet. Angela B.A. Mercyhurst College and City College of New York/ Graduate of The Baltimore School for the Arts/founder and director of Dance Canvas. Angela received her dance training at Dance Theater of Harlem, School of the Hartford Ballet, and The Eglevsky Ballet. While in college she was on full ballet scholarship at Steps on Broadway. Angela danced professionally with The Georgia Ballet, Columbia City Ballet, and Urban Ballet Theater in NYC. Angela’s has performed leading roles with Atlanta Theater productions as well a principal in Jasmine Guy’s production of Daughters of Alpha, in New Orleans, and as a soloist dancer in the national tour of The Thorn, choreographed by Deanna McBrearty of New York City Ballet. Her choreography has been performed by Academy of Ballet, Dekalb School of the Arts, The Georgia Ballet, Steps on Broadway Ensemble, Ballet Lubbock, Savannah Arts Academy, as well as other companies and schools across the country. In addition to teaching and choreographing for Academy of Ballet she is currently on faculty at the Oklahoma Summer Arts Institute, and has been a master class instructor at colleges & universities across the country. Angela was awarded the 2012-13 Emerging Artist Award in Dance from The City of Atlanta’s Office of Cultural Affairs and received a proclamation from the Atlanta City Council. She received the 2011 Emerging Leader Award from Americans for the Arts and American Express, and was selected to be in the 2014 class of Arts Leaders of Metro Atlanta (ALMA). Angela served on the national Emerging Leaders Council for Americans for the Arts from 2011 – 2014, and is a member of Dance USA. Angela was selected as one of five Inaugural National Visiting Fellows at the School of American Ballet in NYC. Most recently, Angela received an SDCF Observership and worked with Susan Stroman on the new musical, Little Dancer, during its Development Lab for Broadway. Angela has been teaching for Academy of Ballet for many years and her love for dance is felt by all of her students. Marilyn, former director of the Jazz/Contemporary Competition Team, continues on with AOB as a choreography in 2017-2018. She launched the 1st Competition Team in the history of Academy of Ballet in 2016. She grew up in Alpharetta, GA and began taking classes from Tolbert Yilmaz School of Dance in Roswell, GA. There she performed in many ballets and also traveled to New York to dance in The Nutcracker on Broadway. At the age of 10 she moved to Buford, where she began dancing at 5678 Dance Academy of Performing Arts. While dancing there she competed in several regional and national dance competitions and won many scholarships and placed in the top 10. She has been doing competitions for 9 years and has also been in The Nutcracker, and 12 Days of Christmas with 5678. Marilyn attended North Gwinnett High School and danced 4 years in the Advanced class and was in North Gwinnett’s dance company “Dance North”. In her last year of dance, Marilyn taught at 5678 Dance and also taught at Metro Gymnastics in 2007. Marilyn choreography for our competition team and received the Judges award 2016 “The Groove Inspiration Award”. Her choreography has be awarded with High Gold and Gold metals and placed in the top 10. We look forward to working with Ms Marilyn again this year. 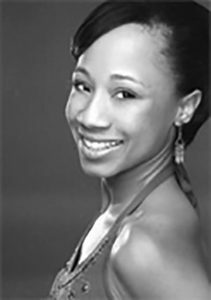 Ms. Alison began dancing at the age of 4 in Norcross, GA. She trained in Ballet, Tap, Jazz, Lyrical and Acrobatics. She competed in numerous local and National Dance Competitions in Solo, Duets, and Group routines. Alison began assisting teaching when she was 15 years old and discovered her love for teaching. She performed for the opening and closing ceremonies of the Olympics when they were Atlanta in 1996. 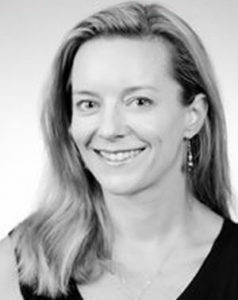 Alison has performed and taught with the Barbara Bramble Dancenter and the Lawrenceville School of Ballet. 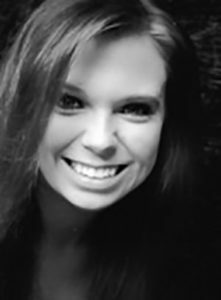 For over 10 years, in addition to teaching dance, she has taught Aerobic classes at Bally’s Total Fitness as well as preschool gym classes at Peachtree Park Prep. Alison was the Artistic Director for Priceless Performers for 12 years. Alison brings over 20 years of teaching experience to Academy of Ballet. She currently is teaching Pre-School and Early Elementary Combo classes as well as directing the Jazz & Tap Ensemble. She loves taking her Jazz & Tap Ensemble group to community events to perform. They have performed for Assisted Living Groups and at local festivals. She believes in developing a well-rounded dancer who will always have a love of movement and dance. Alison currently lives in Duluth with her husband and her 2 kids. Mia is presently a student at Georgia Tech University. She is pursuing a degree in physical therapy and will be taking some time off from teaching this year. She will continue with us as a choreographer for “The Children’s Nutcracker”. Her training began at the age of 3 at the Academy of Ballet. 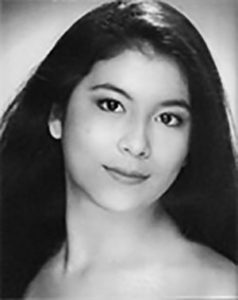 She later studied with Maniya Barredo (Metropolitan Ballet) and the Morning Star Academy. She was chosen two years in a row to perform at Youth America Grand Prix. She has danced many lead roles, Clara, Sugarplum, Snow Queen, Dewdrop, Aurora ( Sleeping Beauty), Odette (Swan Lake) just to name a few. She has been selected to perform at Dance Canvas and the DC Next Program with Angela Harris. Mia is loved by all the students at AOB. She is a great roll model and an inspiration to all. Lorrell, our director of Acrobatics and Dance has been teaching successfully for many years. In addition to teaching her classes she also trains and choreographs for our Competition Team. She studied Physical Health and Education at Georgia State University. Her teaching degree is from the British Association for Teachers of Dance (B.A.T.D). She moved from Canada to Atlanta in 1992. 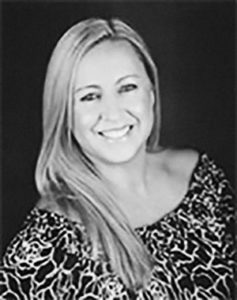 She is the former owner and director of Dance Mania in Roswell, Ga. She is one of our most popular teachers the students love her never ending energy and expertise. Dana, originally from Norwich, VT , began her dance training with Joseph and Victoria DeChiazza, professors of Dance at Dartmouth College. After eleven years of studying Ballet (French Technique), Modern (Limon Based) and Jazz (Jack Cole Based), Dana went on to Adelphi University to receive her B.F. A. in Dance. She trained with Norman Walker, Carmen de Lavallade, Loren Hightower, Rochelle Zide-Booth and Regina Larkin. After graduation, she attended NYU’s Tisch School of the Arts to earn an M.F.A. in Dance. She performed works by Gus Solomons Jr., Mark Morris, and Ann Carlson and trained with Jenny Way (Twyla Tharp), Gwen Welliver (Doug Varone), Jim Martin, Phyllis Lamhut (Nikolais), Mark Haim, Jackie Villamil, Deborah Jowitt and Kaye Cummings. During her second year at NYU, Dana joined the Joyce Trisler Danscompany, performing Trisler works in NYC and multiple venues in the Northeast. After graduating, she performed with Cherylyn Lavagnino, Imago Dance Theatre, and formed her own collaborative company called Ground Floor Dance. Nicole Campbell is a professional dancer, choreographer and instructor currently based in Atlanta. Hailing from metro Detroit, she received her B.S. in Dance from Wayne State University after her childhood training at Robert Lee School of Dance and Churchill High School’s Creative and Performing Arts program. Performance credits include Hannibal Buress, Maksim Chmerkovskiy, JTDance, Gotta Dance Contemporary, Flash Mob America, Melodic Nocturne Dance Tribe and halftime shows for the Detroit Lions and Detroit Pistons. Nicole’s choreographic works have been presented in concerts for artLabJ and MoreDances Contemporary Dance Company in addition to receiving frequent top honors in competitions. As a result of Nicole’s emphasis on energy and emotional execution in her classes, many of her students have received scholarships, special awards, high scores and professional jobs. Several alumni are now pursuing their own higher education in dance and dance careers. Nicole is also on panel as a judge and master teacher with several competitions including Groove, Applause Talent, 8 National Talent and Impact Dance Ajudicators. Erin discovered her love for dance in high school after joining the dance department at Peachtree Ridge High School. By her senior year, she had decided to take the leap and pursue dance as a career. Since then she has trained tenaciously in Jazz, Ballet, Pointe, Hip Hop, Modern, and Contemporary and has been a company member to companies such as Southern Ballet Theatre, Advocate Arts Contemporary, and Gotta Dance Contemporary and Raiin Dance Theatre. 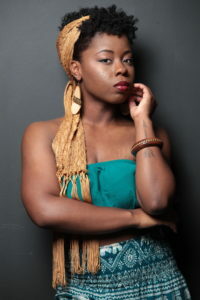 Aside from performing in the musical Angels In Training, she has had the privilege of working with musical artists such as PRISCA, Najasism, Goldberg, Misti Rose, Red Lettaz and B Suave for various stage performances and music videos, and she has had the privilege to perform with the organization Art With A Heartbeat. 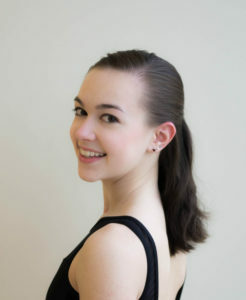 Setting movement on fellow dancers is also a passion of Erin’s and she has choreographed work for Peachtree Ridge High School, Grayson High School, Southern Performing Arts Academy, solos for Youth America Grand Prix, Universal Ballet Competition, and has had work selected for the 2017 Regional Dance Association National Festival in Phoenix, Arizona (performed by Southern Ballet Theatre). Sharing movement has always been a passion for Erin and she plans to continue doing just that in the years to come. Lara Davis is a recent graduate of the University of Georgia with degrees in Dance Science and Psychology and a minor in Dance. She began her dance training at age four at the Tolbert Yilmaz School of Dance in Roswell, Georgia where she was a member of the Roswell Dance Theatre student company for eight years. 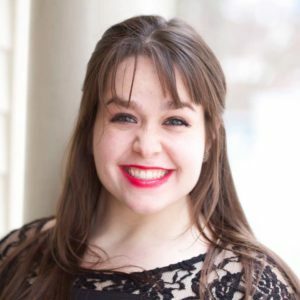 Ms. Davis has attended summer dance intensives across the country including American Ballet Theatre in Orange County, The Rock School, Joffrey Ballet School, Dance Canvas, the National Choreography Intensive, and the Georgia Governor’s Honors Program. In 2013, her choreography was presented at the Southeastern Regional Ballet Association Festival and in 2016, she choreographed for the student film “Capriole”, which was awarded the Dean’s Horizon Award at the 2016 EMST Film Festival at the University of Georgia and was selected to be presented at the 2016 River’s Edge International Film Festival in Paducah, KY. She has performed with Refuge Dance Company in Marietta and Dance Canvas in Atlanta. Currently, she dances with the Georgia Ballet and teaches in the metro-Atlanta area.